Mamagoto- Fun Asian Cuisine was indeed fun! Firstly, I loved the setting of the Andheri outlet. In fact I had seen it in one for the episode's of 'Look Who is Talking to Niranjan' wherein Niranjan Iyer was interviewing Alia Bhatt. I started off my meal with a mocktail called the Lychee Pop Rock which totally rocked. 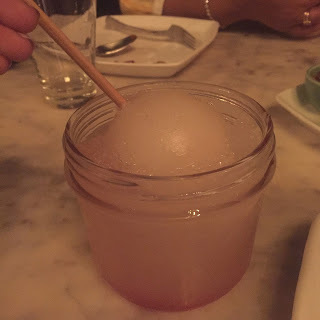 It was more like a refined version of a Gola with some refreshing Lychee essence. 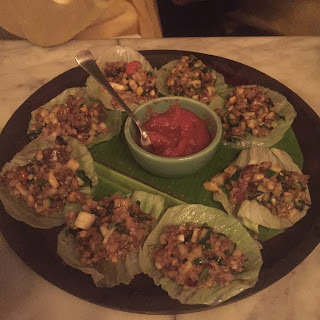 We then had some Basil Cups which were like light bites and were quite different. They tasted best with that dip right in the centre. We then asked for some Spring Rolls which were plain average as we could taste nothing but Cheese in them. They were more like Cheese Cigar Rolls. I am a huge of fa of the Italian Ravioli, so I thought of trying out the Asian Ravioli. It was something different as it had mango and a sweet flavour to it. However, it was a little dry as it did not have a sauce. 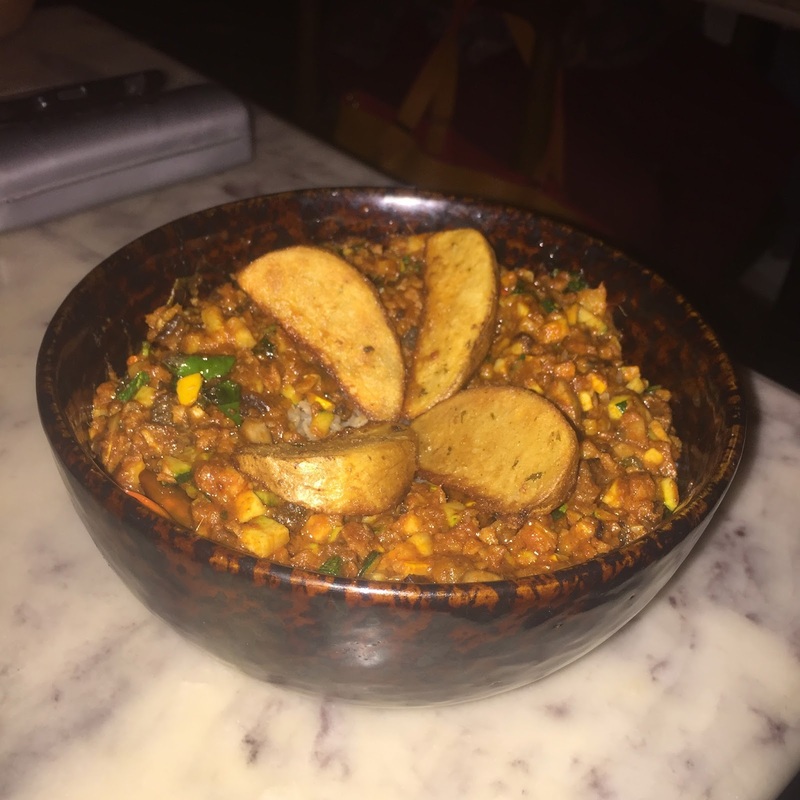 Now, the Rice Bowls are the signature dish at Mamagoto. We ordered a vegetarian Rice Bowl, the name of which I really do not remember as it was just not worth it. It was way too spicy. We just couldn't enjoy it. Then we called for a dessert well in time to calm down that pungency in our mouths. Their American homemade caramel sponge cake with toffee sauce was so amazing! It was served with a dollop of vanilla ice cream. 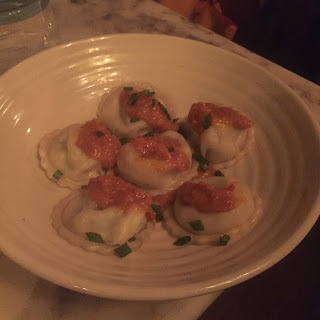 This made our visit to Mamagoto totally worth it. We even packed some home. So, Mamagoto is average overall. But the dessert is surely to die for!